At this point in your life, there's a damn good chance that you've carefully identified the one or two reliably great pizza places in your area and order from them almost exclusively instead of rolling the dice with fast food pizza or other pie purveyors. But every once in a while, Pizza Hut comes out with a deal that's good enough to lure you away from your go-to pizzaiolos for the right price. The chain's latest promotion could very well be one of them. 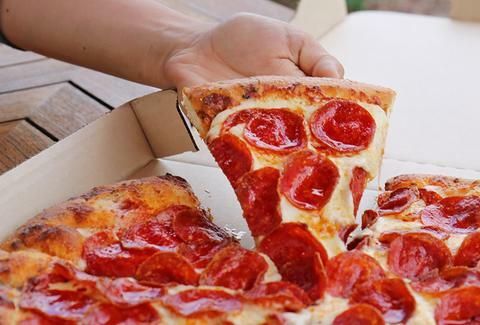 In celebration of National Pepperoni Pizza Day (yeah, that's a thing) on Wednesday, September 20, Pizza Hut will sell you a large pepperoni pizza for just $1 when you order any other large pizza at the regular menu price. The insane one-day discount is good for delivery and pickup orders placed online via the chain's website or apps with the code PEPPERONI1. Usually, a large pepperoni pizza will set you back around $14. Of course, the discount only applies to large pepperoni pizzas and you have to be willing to settle for fast food pizza from a big chain, but the low price could very well be the difference between eating pizza and not eating pizza -- even though you've probably already had it at least once this week. Best of luck figuring that out. Tony Merevick is Senior News Editor at Thrillist and hasn't had Pizza Hut pizza in a while now. Send news tips to news@thrillist.com and follow him on Twitter @tonymerevick.